Decipher Me is the new digital single taken from the Forthcoming album Cryptex. 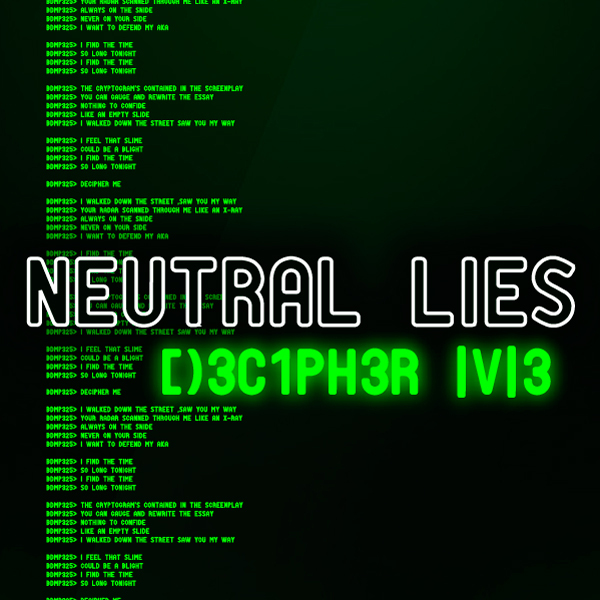 It includes the video version and two remixes of the title track and two unreleased track from the Cryptex recording session that did not make it onto the album tracklist. 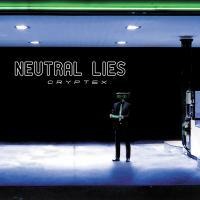 Cryptex, the new Neutral Lies album will be out on may 27. Meanwhile you can have a preview of the sound of the new album with this 5-track appetiser. Decipher Me is the first single taken from the album, it presents three version of the title track, including remixes by XMS and Suffer K, and two unreleased tracks from the Cryptex studio sessions: Dastard and Pulp Friction.